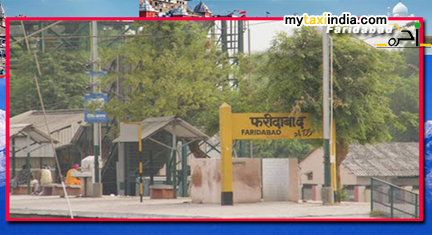 Faridabad railway station is a train station situated on the Agra-Delhi chord. The precise location of the station is Faridabad district in the Indian state of Haryana. It serves Faridabad and surrounding areas. In the year 1904, The Agra-Delhi chord was started. Certain parts of the chord were laid again during the construction of capital city of India, New Delhi. Between the years 1982-85, the electrification process of Faridabad-Mathura-Agra section was completed. Presently, Faridabad station is served by EMU trains and an integral part of the Delhi Suburban Railway. The railway station is equipped with several amenities to help passengers enjoy a convenient tour to various destinations. It has a waiting room, telephone booth, refreshment room, and computerized booking office. Faridabad is also a wonderful place to travel to. It is provides a huge number of tourist options. Baba Farid's Tomb is one of the most desired places of travel here. Legend has it that the great Sufi saint Baba Farid stopped by the city of Mokhalpur in Punjab. He resided in seclusion near Mokhal Fort of the king. Impressed by Farid, the king renamed the city in his honour as Faridabad. The tomb is visited by many thousands of pilgrims throughout the year. It is a mini picturesque monument set amidst charismatic gardens. Tourists can also enjoy annual fair held every year in the month of September in honour of Baba Farid. Surajkund, literally meaning "Sun Lake" is a panoramic picnic around a rock-embanked lake. It also has a Sun temple which is in ruins. The place is famous for the Surajkund Fair. Badkhal Lake is again a picturesque spot situated on the northern fringes of Aravalli Hills. It also has a scenic Peacock Lake. A flower show is held here every year. Nahar Singh Palace in Ballabgarh is an 18th century grand building of king Raja Nahar Singh. It has been converted into a heritage property. Dhauj Lake is a non-perennial lake surrounded by the scenic Aravalli Hills that provides perfect ambience for adventure activities. Hiring a taxi in Faridabad will help you enjoy the tour in Haryana and areas around better. At My Taxi India, we are committed to make your tour to Faridabad a pleasant experience. We will make sure you are at ease all through the journey. Booking a taxi with us will prompt us to initiate the process. We will send across a trained and highly experienced chauffeur to your doorstep. He will make sure you have an amazing trip to Faridabad and various other places in Haryana. Book a taxi with MY Taxi India and experience the difference. Bon Voyage.